One year after her husband's murder, Laura Tanner's grief has turned to frustration at the stalled police investigation. 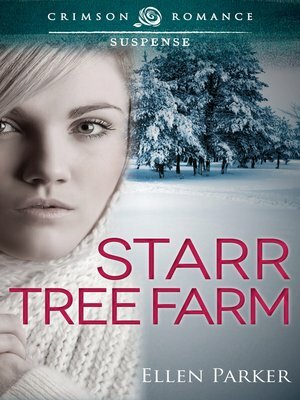 She accepts an invitation from relatives to leave St. Louis and tend their Christmas tree farm near Crystal Springs, Wisconsin, for two weeks. The small, peaceful community full of fond childhood memories is just the place for her to move plans of a bookstore off paper and into reality. Plus, she'll prod her reluctant private investigator uncle - there must be something he can do long distance to find justice for her husband. Brad Asher's military career ended when he lost an arm in Afghanistan. He's returned home to Crystal Springs and works part-time in real estate. When he learns of Laura's plans to settle in the community, he makes a few of his own. As the neighbor boy during her summer visits, he bumbled the opportunity to express his admiration for her. He's determined to make the most of this second chance. But Laura's arrival from St. Louis threatens this future as events around her husband's murder follow her. Can Brad keep her safe and in his life?